The SODAQ SARA Arduino Form Factor (AFF) R410M is a multi-band LTE-M and NB-IoT development board which means it can be used all over the world. It is the successor to the NB-IoT shield that we have launched successfully on Kickstarter a year ago and of which we have delivered more than 1000 which are used all over the world. It comes with a small antenna that connects to the uFl port. the R410M version is supporting LTE-M and NB-IoT in all global bands. The board comes with a Vodafone NB-IoT SIM card that can be used in the following countries: Ireland, Italy, Czech Republic, Germany, Australia, Spain, England and the Netherlands. Here the Vodafone NB-IoT network is live. This SIM card allows for free use of the network for 6 months and 2MB data traffic per month. 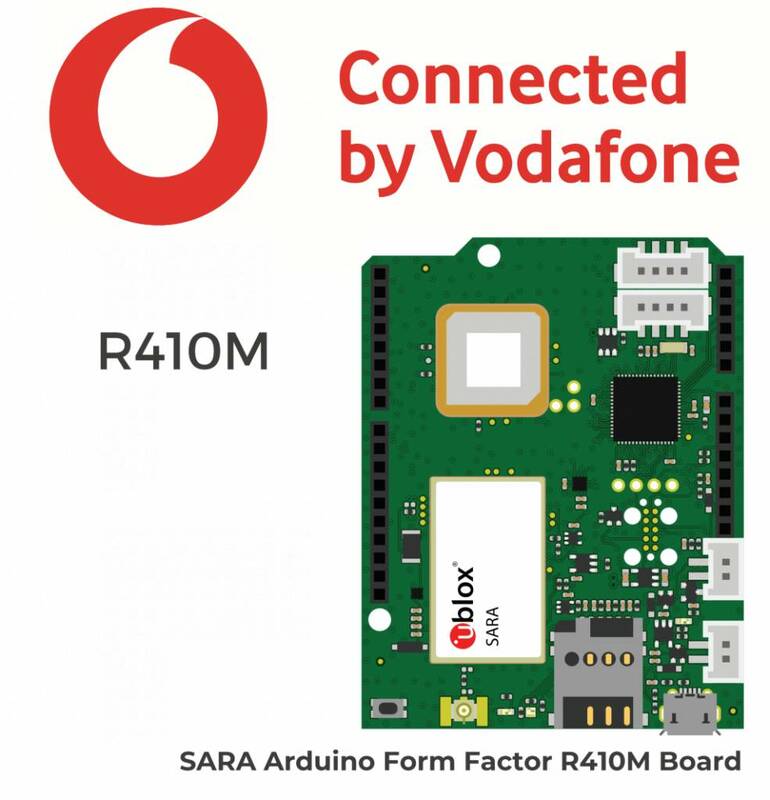 Note that we will not include a SIM card in countries where there is no NB-IoT network from Vodafone. Note that including this SIM card requires us to share your contact details with Vodafone. Easy to install and after playing around with the board and follow the instructions on the display you can select a sensor. Combined with the portal/webgui, you can also download your data view them live and several more features. The network gives instant access and no worries about that. GPS is on the board. Reading the further specs there are many more capabilities.